Keast Burke was a professional photographer, journalist and historian of photography. Born in New Zealand, he arrived in Australia in 1904 and settled in Sydney with his family. After serving in the Middle East during World War I, Burke was made associate editor (under his father Walter Burke) of the Australasian Photo-Review. 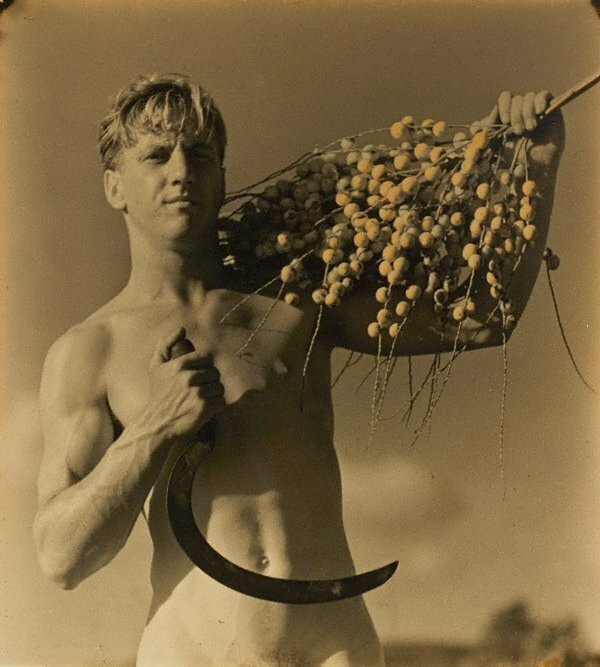 In 1932 he published ‘Achievement’, a photographic study of the Sydney Harbour Bridge, and in 1938 was elected an associate of the Royal Photographic Society of Great Britain for a portfolio of male figure studies. Burke edited the APR between 1946 and 1956, and in 1943 began to publish a series of articles on early Australian photographers such as John Lindt and Charles Kerry. In 1953 he discovered BO Holtermann’s collection of glass-plate negatives by Charles Bayliss and Beaufoy Merlin, which became the foundation of his 1973 study of gold-mining imagery, ‘Gold and silver’. From 1961 to 1969 Burke was editor and art director of Australian Popular Photography. He was also a consultant to the National Library of Australia and promoted the institution’s acquisition and preservation of historic photographs. Signed l.r. original mount, pencil "Keast Burke". Not dated.